At Grab A Gun, we sell the best firearms and accessories that you can find anywhere. And while we take great pride in our full line of shotguns, we know that a shotgun is only as effective as the ammo it fires. That’s why we offer a wide selection of shotgun ammunition for every purpose, from dove loads to competition loads. 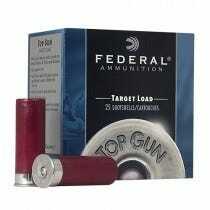 The type of ammo you need depends upon your shooting needs and your personal preference. For example, if you’re looking for something for home defense, you will not want the same type of ammunition you would use for hunting, for example. For home defense, you want minimum penetration (to make sure you’re not having the spray go through walls and doors) with a strong knockdown punch. While some people swear by buckshot, others prefer #6, saying that the buckshot is too powerful down range. Your needs, and experience, may vary. While we encourage you to trust your own judgment when it comes to your shotgun ammunition, the good news is that you don’t have to be an ammo expert before you make your purchase. That is what we are here for! The experts at Grab A Gun are here to help you find what you are looking for, even when you aren’t sure what you’re looking for at first. Our customer service professionals are friendly and helpful, and can answer any shotgun- or shotgun ammunition-related question you have. So trust GrabAGun.com for all of your shotgun ammunition needs. In addition to our great customer service team, we have incredible prices on some of the top ammunition brands in the industry, including Remington, Federal, and Winchester Ammunition.